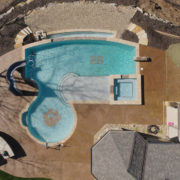 Gunite pools offer full customization, a wide array of features, and endless possibilities making these pools the most popular style of pool in the United States. 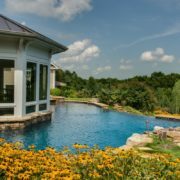 And Hot Springs Pools & Spas has been proudly outfitting homeowners with the highest quality gunite in-ground pools for decades. Gunite is the name of a heavy-duty mixture of cement and sand. 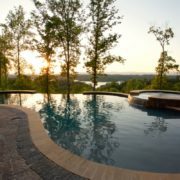 A gunite pool is built by constructing a rebar frame, then shooting a mixture of cement and sand, called gunite, over and around the rebar frame. The interior of the pool is then finished, often with plaster, but sometimes with an exposed aggregate. 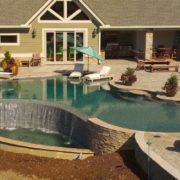 Aside from complete personalization, installing a gunite pools offers you many other advantages. 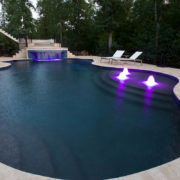 Hot Springs Pools and Spas is with you every step of pool process. We enter into every pool project as your partner and guide, ensuring a smooth build and delivering you the pool of your dreams. You and your wishlist meet with our our team to discuss your needs, must-haves and dislikes. 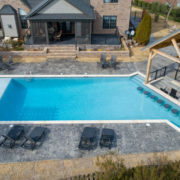 You meet with our talented pool design team, who will take your wishlist and turn it into a functional concept. 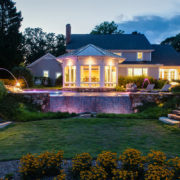 We take the design and carefully price the pool and its features. Once the contract is agreed upon it’s time to begin construction. We get the permits in place, break ground, dig out your pool and construct the rebar frame. 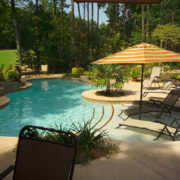 We shoot the gunite in and around the rebar frame to form the structure of your pool. Once the pool base is completed, we install the tile, coping and deck. We plaster the interior of the pool with your selected finish and fill it with water. The pool is finished but out our job is not. We walk you through training on pool maintenance, equipment, and water care. 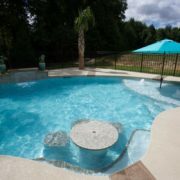 Gunite pools allow you the most flexibility and depth of options when it comes to features for your pool. 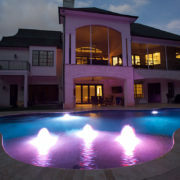 You can personalize your pool experience by combining features, creating the perfect luxury pool. 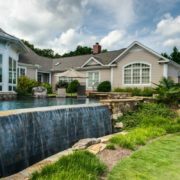 Aggregate finishes are a mixture of glass beads and stone aggregate that gets applied after the gunite mixture settles. We offer two prestigious lines of finishes: Pebble Technology and Diamond Brite. Combined, you have over 60 finishes to choose from. Typically built right into your pool’s shallow sundeck, pool bubblers are a stimulating way to keep your water circulating while adding visual appeal. 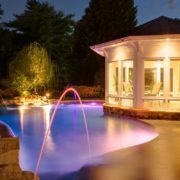 With the ability to customize how high or low the water shoots out, you have complete control over your pool’s ambiance. 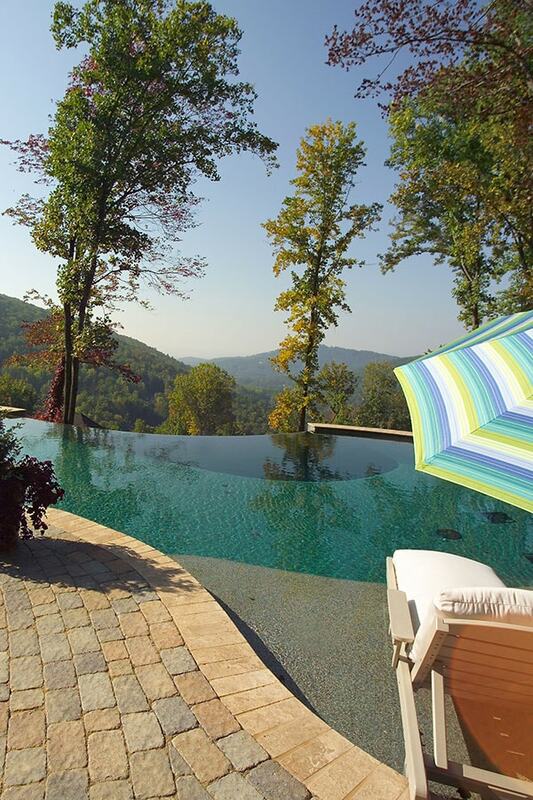 Gunite sundecks are a shallow ledge you can put lounge chairs on while still being in the water. 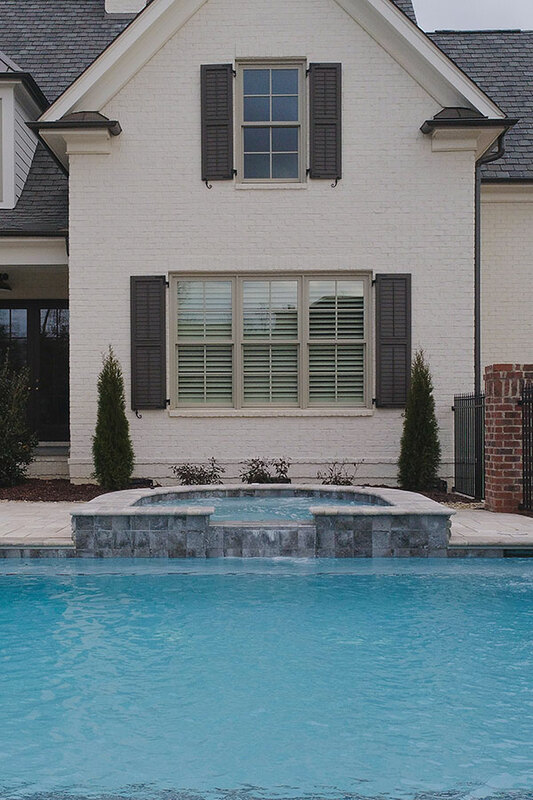 Often accompanied with a bubbler, these ledges can be customized to fit your pool shape and size. Find out how we met the needs of the Boleman's. It’s never too early or late to make your backyard the true oasis you always intended it to be. Get started today with a free quote.